The Caridox App was created to help all motorists manage and keep track of their vehicle's renewals and with a bit of feedback from us here at Chauffeur Rentals, it was enhanced to incorporate the requirements of Professional Drivers. 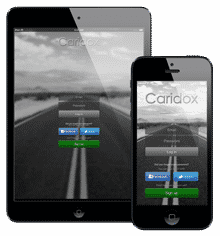 With Caridox, you can enter your vehicle information including Road Tax and MOT due dates. Insurance and Breakdown Recovery expiration dates and even when the vehicles PCO (or Local authority Licence) is due. This app has proved to be invaluable as we all lead such busy lives and with the need for MOTs at 6 monthly intervals, it's easy for them to creep up on you. It's much better to get advanced notifications of such things, giving you plenty of time to prepare and make arrangements at a convenient time. And a host of other stuff too. 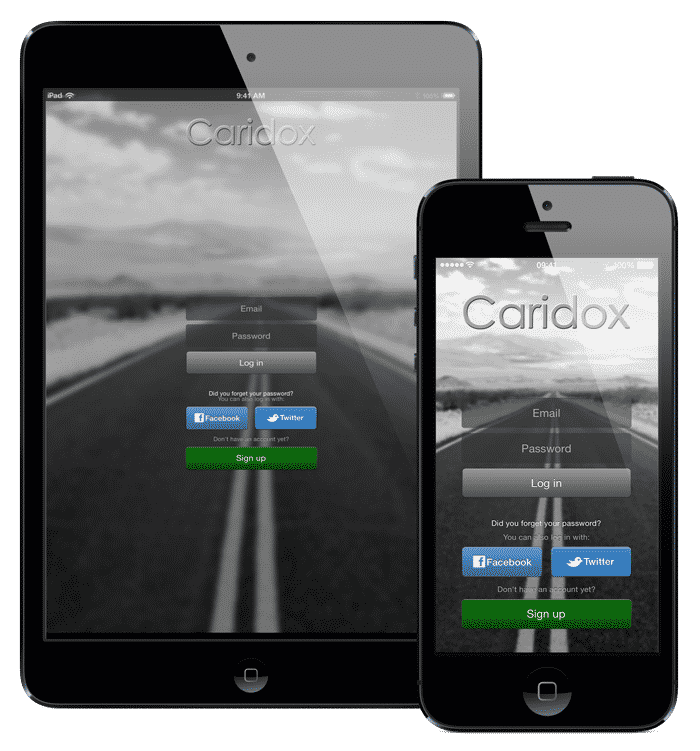 Take a few minutes to enter details about your Insurer and Recovery service and in the event that you are unfortunate enough to need them, a single tap in Caridox calls them for you. How cool is that ? As well as storing all your vehicle details, Caridox can also hold your regular driving licence and professional driving licence information and renewal dates. It will then jog your memory with a little reminder as the time approaches to renew them. All the data saved into Caridox is securely synced with their cloud service, allowing you to share your data across the multiple devices you may own. Perhaps, like us, you manage your details in the office using your iPad. When you're out and about, you can simply login to your account with the app on your iPhone and all your data is synced down for you. Make a change, and it's pushed back to the cloud. When you launch the app again on your iPad, it refreshes the details and your changes come in. There is a Free Version of Caridox available, but it's well worth the 69p to get the full version. This gives you the full benefit of the Notifications Service and the ability to add an unlimited number of vehicles. As we are all protective of our information, it's worth mentioning that we have checkedwith the developers of the App and understand that all the information you enter is encrypted and stored securely. © 2019 Chauffeur Rentals. All Rights Reserved.